In the spring of 1935, Noah W. Kreider and his wife, the former Mary R. Hershey, and their two young sons, Richard and Noah Jr., moved from Bird-In-Hand to her parents' farm on Doe Run Road. Mary was born and raised on the farm which had remained in the Hershey family since it was first settled in 1739. Her father, John B. Hershey, a distant relative of Milton Hershey, sold the farm to Noah and Mary as his health was failing. They started small with 102 acres of land, a dozen dairy cows, and 200 chickens. In the early years they took vegetables, grown in their garden, to Manheim and peddled them from house to house. Noah and Mary's sons grew older and married, adjoining farms were bought and the Kreider Farms operation was up and running. Continued dairy expansion led to the decision in 1972 to build a processing plant and retail store where Kreider's started processing, bottling and selling their own milk and making their own ice cream. Egg production grew rapidly until Kreider Farms would emerge as the largest egg producer in the state of Pennsylvania. 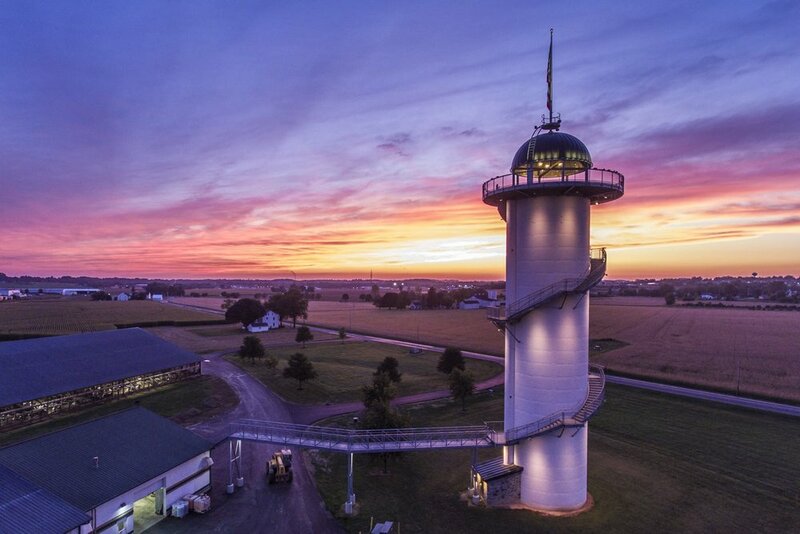 Today, the Kreider family, under the third generation leadership of Ron Kreider and a dedicated staff of approximately 450 people, operate a sizeable and diverse farming and consumer products business encompassing over 3,000 acres. Noah and Mary Kreider lived a philosophy that emphasized high quality, hard work, and a willingness to take risks, while demonstrating the highest of moral and ethical values. Our principles, beliefs and "Mission" continue to guide Kreider Farms as we look to the opportunities of the future. 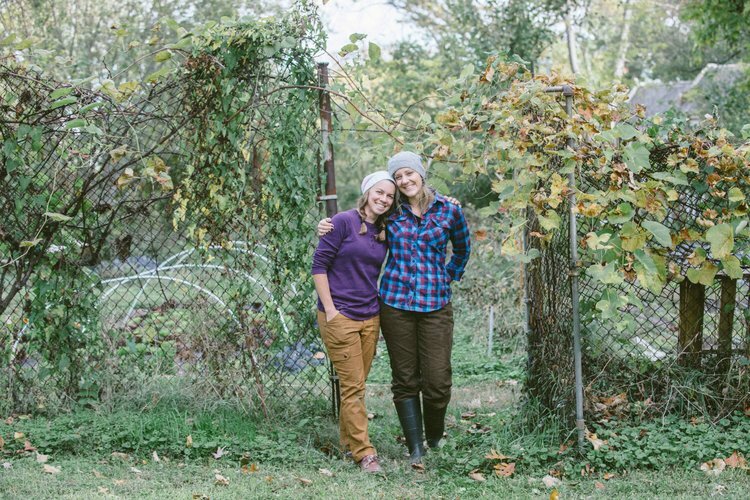 An organic farm dedicated to growing microgreens, was started by Ed Huling in Bealeton, VA. Inspired to grow these flavorful, young greens due to their impressive nutrient profile, Ed - a nutritionist, researcher, and farmer - practices regenerative agriculture to ensure the soil in which the greens are grown is as healthy as possible. Fantastic in salads, alongside eggs or on top of soups, New Day Farms' delightful, crisp microgreens are the perfect nutrient boost in any meal. There aren't many farms with the same dedication to nutrition as New Day Farms. They make every decision based on optimal nourishment and delicious flavor. They grow microgreens because they burst with antioxidants, enzymes, and highly concentrated nutrients. Fox Meadow is a family business that specializes in year round English Cucumber production. English Cucumbers are desired for many reasons but mostly for there thin skin exterior and seedless interior. Currently, we are growing and providing English Cucumbers to local produce stands, restaurants, and Whole Food grocery stores. Established in 2005, Fox Meadow greenhouse is operated by a family of farmers, five generations long. 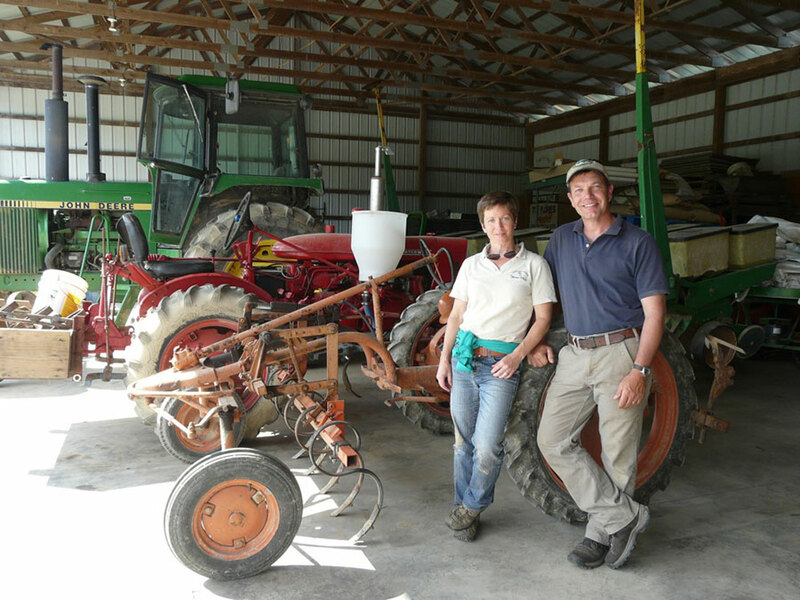 With agricultural experience in grain, annuals, and produce, Fox Meadow has the expertise to assure quality produce. They harvest a mouth-watering array of home-grown vegetables, pastured meats and eggs. Their our unwavering commitment to the integrity of the environment means we can rely on One Straw Farm for safe, natural, and delicious ingredients for our guests. C&M Mushrooms is owned and operated by brothers who grew up and worked on a mushroom farm that has been in their family for four generations. They know how to choose fresh, quality mushrooms and they pass that along to our guests. At Homestead Farms, their passion is growing authentic, certified organic food and their commitment is to sustainable, safe and just certified organic production. Gusto receives Kale from Homestead Farms and uses this produce in our Farm Blend. Little Wild Things - Washington D.C.
Little Wild Things City Farm produces soil­-grown microgreens, salad greens, and edible flowers on less than one­-quarter acre in the heart of Washington, D.C. They believe that environmentally sustainable, commercially viable farming is possible in urban landscapes—and they're proving it. 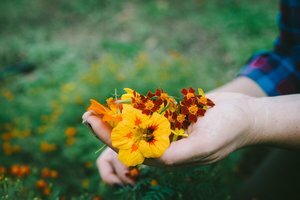 As a first generation farm, they combine the best of time­-honored organic growing techniques with new innovations and a disciplined business focus to achieve high yields from their very small growing spaces. Mark Benoit, Head Grower at the BrightFarms Capitol greenhouse. "I’m proud to be a part of BrightFarms because all of our farmers grow with the same values and local commitment to sustainability that I do." Their farms are designed with hydroponic systems that allow for water re-circulation. Their hydroponic systems use a mineral-based nutrient solution to nourish our produce in a soil-less environment. That means that they use less water than conventional agriculture and there is no agricultural runoff. BrightFarms is more than “locally grown”... it’s “grown for locals”. Everything they do is to provide the freshest, cleanest, most responsibly grown produce to the people in our local community. Because they believe everyone deserves access to fresh, local greens, that are always non-GMO and Pesticide Free. Their farm in Culpeper, VA delivers greens to Gusto within 24 hours of harvest. And because it’s grown nearby, it’s always more delicious.